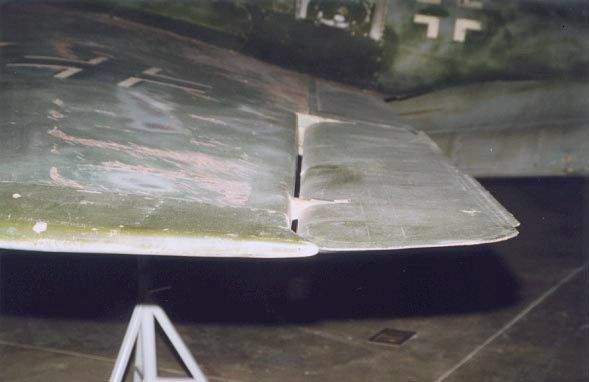 Detail view of the left wing tip. The wing shows both scratching and three sanding spots. The gap between the wing and the elevon is clearly visible.